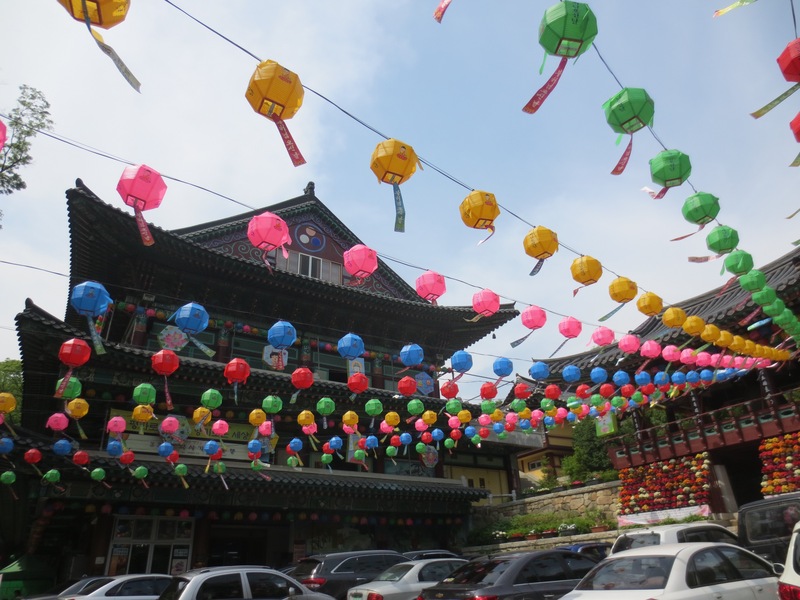 One of the many things on my to-do-list when coming to Seoul was to participate in a Templestay. 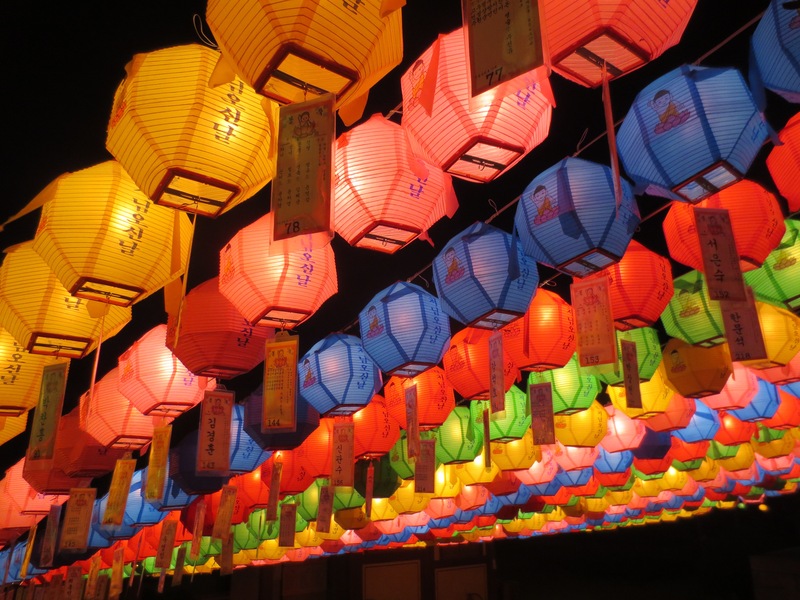 There are many different temple’s in Korea that this can be done; it is very popular to do this activity in the mountains outside of the city. However, after some research, my friend and I decided to participate in a Templestay inside Seoul at Hwagyesa Temple (화계사). On arrival, we were greeted by Ilsheemhang, one of the best people I have met here in Korea. She spoke English and made it her mission to ensure that my friend and I had the best stay possible. Meeting her alone made our stay spectacular. This is the itinerary we followed during our stay. Our first major activity was hiking meditation. This involved very slowly walking up a mountain trail, while attempting to clear your mind. How the monk, Sansung, put it is that “the mountain should not hear you coming.” The slow pace of the walk makes the hike quite easy, and would be ok for all fitness levels. The hard part is the constant concentration of trying to clear your mind. After dinner we participated in Evening Service where we followed the monk in chanting and bowing to Buddah. We were given English translations of the chant so we could understand them, and also trandliterations of the Korean chants so we could read along. We learned how to meditate after the service. Sansung gave us instruction in posture, breathing, and tips for clearing your mind. We would meditate in brief intervals, and were given breaks to stretch and relax. What I realized in doing this is that meditation is extremely difficult and something that one needs to practice in order to be successful. But I am confident after this experience, given instruction in basic meditation, that with practice it will be something I will be able to achieve. At 19:30 you are given free time, and you are told that it is lights out by 21:00. However, we kept our light on longer and no one told us to turn it off. Our room was very spacious for the two of us, compared to what I was expecting. 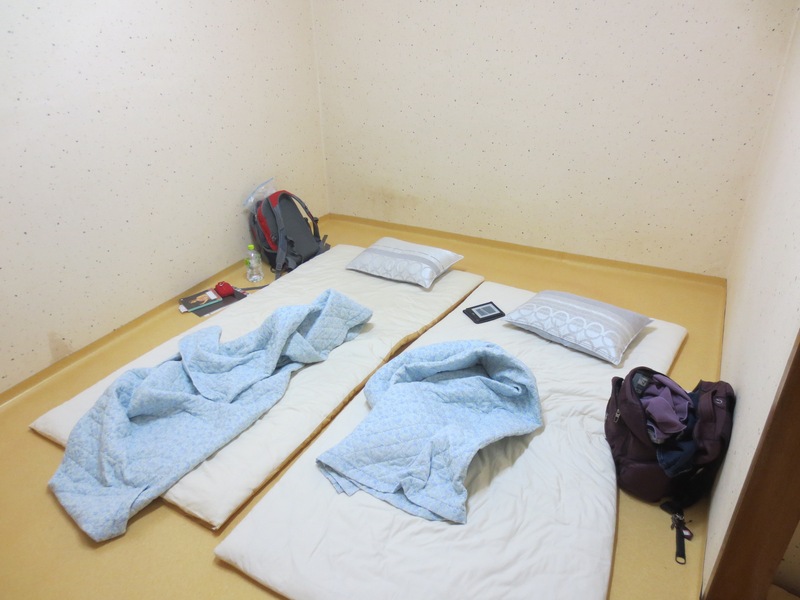 We were given padded mats for the floor, pillows, and blankets. Overall it was a comfortable arrangement, and the floor is heated. Since our stay was so close to Buddah’s Birthday there was thousands of lanterns decorating the surrounding area at the temple. It was an amazing sight to see at night. 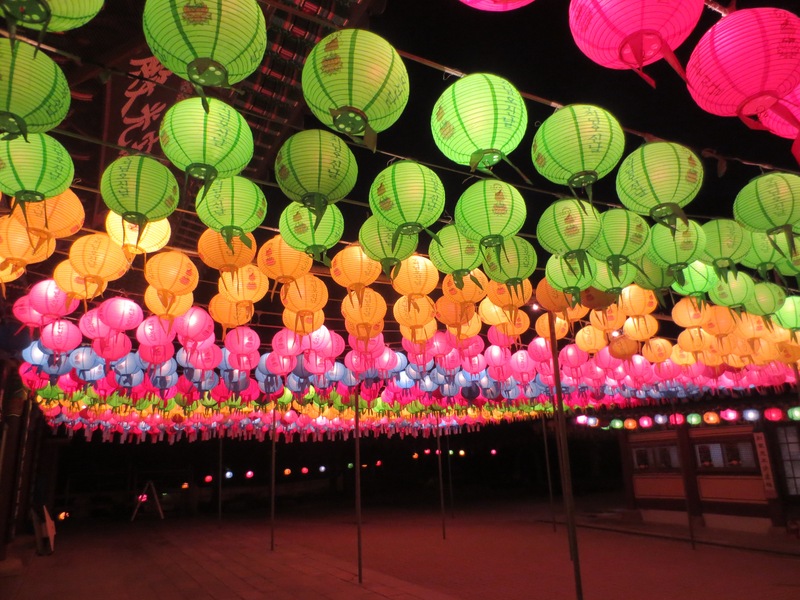 My friend and I spent time wandering around the grounds admiring all the lights and colors of the lanterns. It was also so quite and peaceful, with few people around to disturb the peace. I highly recommend going to a temple after sundown during the weeks preceding Buddah’s birthday just for the lanterns alone. The next morning we were woken bright and early for morning service, which was the same as evening service. What surprised me was that there were quite a few other worshipers that had come to the service so early in the morning. There were also about ten monks present for this service as well. After the service we tried sitting meditation again, which I really liked because I felt like I could put all the instruction I received the day prior into practice. After breakfast we were given a break for around 1.5 hours; I took that time to enjoy a nap. Lastly we were given time to ask the monk who had been with us for the duration of our stay questions over tea. It was amazing to be able to talk with him and ask him about his experience as a Monk, and what his life is like. After that we were each given gifts and it was time to clear our rooms. We were leaving the temple by 10:00 so we still had the rest of the day. I loved the Templestay, it is by far the best cultural experience I have had while in Korea. I recommend it for those who are open to new experiences and would like to learn more about Buddhism and meditation. I think those who are going to do a Templestay need to have an open mind and fully invest themselves into the experience. If you are interested in a Templestay I highly recommend Hwagyesa. Ilsheemhang was wonderful and made it her mission that we had the best possible experience. We were in a small group of nine, which made it possible for us to ask the monk lots of questions and for them to give us special attention in terms of English translations. The food at the temple was very good which was a surprise. It was vegetarian, but it was simple and nice. I never felt hungry, you could eat as much as you like as long as you ate everything you took. Since Hwagysa is located in Seoul it is only about 45 minutes away, and very accessible by public transportation. This temple also offers free meditation workshops on Sundays and anyone is welcome to attend the worship services, so if the Templestay is not for you, there are also these other options.